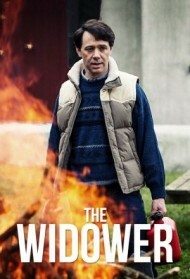 The Widower is a crime drama series broadcast on itv. Over a thirteen year period Malcolm Webster poisons and murders his first wife and then tries to do the same thing to his second wife before moving on to a new scheme to deceive his new fiancée. Malcolm and Simone's relationship is moving at a rapid pace. They are engaged and undergoing IVF treatment for a child.Malcolm is now treasurer of an angling club, but is secretly embezzling funds. When this is reported to DS Charlie Henry (John Hannah), he raids their home and finds stolen laptops and an unlicensed firearm. Malcolm is pulled in for questioning, but Charlie's frustrations continue to grow when legal technicalities result in Malcolm being cleared of the embezzlement, theft and firearms offences. When a fire at Felicity's parents home is extinguished by Felicity's father, Brian, Malcolm's problems begin to mount. Under pressure and running out of ideas, Malcolm decides to stage another fatal car accident. This time, he wants to kill Felicity so he and their son, can begin a new life ‐ helped by her life insurance policy. But Brian is growing ever more suspicious of Malcolm. When Malcolm Webster comes under pressure from new wife Claire over his mounting debts, he begins systematically drugging her to keep her under control. When she books a doctor's appointment to run tests, Malcolm takes matters into his own hands by staging a car accident in which she is killed.